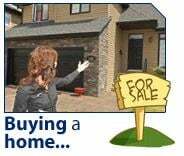 In the following reports, you'll find the information you need to make a wise buying decision. I'll take you through the planning process step-by-step , to help you determine which home is right for you. You'll find a host of informative articles on mortgages, viewing homes, the offer, closing details and moving. Please contact me if you have any questions about buying a home in HRM or elsewhere in Nova Scotia.